Use the Mini Display port to HDMI Adapter to connect an digital monitor such as large screen LCD Display, or overhead projector with HDMI input. Connect any standard analog monitor; projector; or LCD that uses a VGA with the Mini DisplayPort to VGA Adapter. Enable you to connect any HDMI interface embedded device (HD TV, Monitor, Projector...) with a DisplayPort interface (Desktop, Laptop). Enable you to connect any DVI interface embedded device (Monitor, Projector...) with a DisplayPort interface (Desktop, Laptop). The DisplayPort VGA adapter enable you to connect any VGA interface embedded device (Monitor; Projector...) with a DisplayPort interface (Desktop; Laptop). DisplayPort Cable connects DisplayPort devices to other Display Port devices.They come with latch to ensure that cable does not accidentally come loose. Mini DisplayPort connects laptops and small devices to displays. 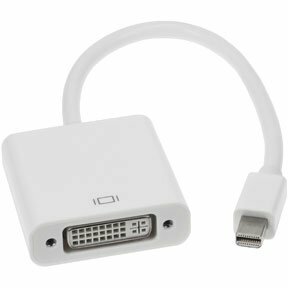 We have Mini DisplayPort Male to HDMI Female Adapter Cables, Mini DisplayPort Male to HD15 VGA Female Adapters, DisplayPort Male to HDMI Female adapters, DisplayPort Male to DVI Female Adapters, and DisplayPort to VGA converter Cable adapter with Male-Female Latch. SF Cable only deals in quality products manufactured by ISO 9001-2000 registered manufacturers. All products are RoHS compliant and environment friendly as well. You can also expect good after sales service and lifetime technical support on all our products.